DON’T LET AN ACCIDENT WRECK YOUR LIFE! WHY CHOOSE BEN ABBOTT & ASSOCIATES? At Ben Abbott & Associates, we have handled tens of thousands of accident cases, helping our clients recover the compensation they deserve for more than 20 years. Our team is over 150 strong, with more than 15 lawyers all working towards getting our clients the checks they deserve. Each one of our clients has direct access to the attorney that is working on their case. We are with you each step of the way during the process. Our team comes to your aid and can help you obtain medical assistance, schedule car repairs and provide support during your time of need. We tie our firm’s success to yours. There is no risk in having our team take a look at your case because there are no up-front fees. Our lawyers work on a contingency fee basis – meaning that there are no fees unless we’re able to recover your money. 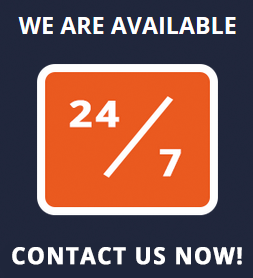 Contact us today and get the legal representation you need. Follow Ben Abbott & Associates on Social Media for Giveaways and Promotions! Have you been injured or lost a loved one to an intoxicated driver? It’s imperative that you have a qualified attorney that knows the law and ensures your interests are protected. Learn More. You need an experienced car accident attorney that will fight to get you the compensation you deserve. Read more. If you or a loved one was involved in an 18-wheeler accident and suffered a serious injury, call Ben! You can’t afford to take on the insurance companies yourself. Ben’s Team will take the pressure off of you! Read more. If you’ve been in an accident involving an uninsured driver, seeking financial reimbursement can be a very daunting task. Rely on our team to provide you with the guidance and support you need. Click here to learn more. Motorcycle accidents often cause catastrophic injuries. Our Dallas accident lawyers are trained to study, evaluate and preserve your rights to financial damages. Read more. Understanding your rights after an auto-pedestrian accident is critical. Call Ben to give you the best chance of recovering the financial compensation you deserve through a personal injury suit. Learn more. Check Out Ben Abbott & Associates Official Blog! From Car Wreck/Personal Injury Advice to The Latest Sports Talk, Ben’s Blog Has It All! At Age 60 Former Dallas Cowboys QB Coach Has Passed Away. Cause Of Death Is Currently Unknown But Believed To Be Related To Diabetes. At Ben Abbott & Associates we have handled tens of thousands of accident cases, helping our clients recover the compensation they deserve for more than 20 years. Our team is over 150 strong, with more than 15 lawyers all working towards getting our clients the checks they deserve.